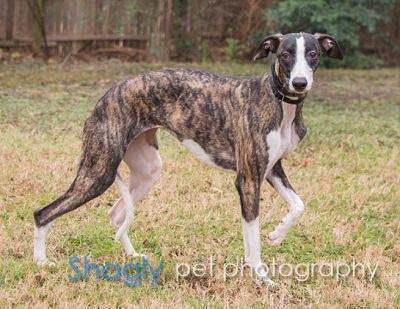 Bunny is an approximately 1 year old brindle and white female whippet mix. Bunny was surrendered to GALT by her owner due to a lifestyle change. 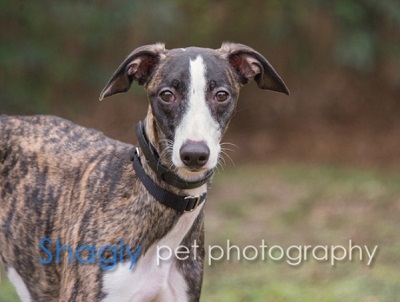 We are currently awaiting DNA test results so will know more about her soon. 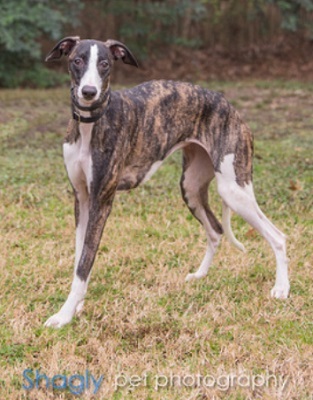 Being a whippet mix, Bunny is a petite girl at about 35 pounds. She is cat tolerant/small dog tolerant.